In June of 2015, in response to former President Obama’s mandate that it take steps to ensure that employees are compensated fairly, the United States Department of Labor released proposed changes to the overtime regulations governed by the Fair Labor Standards Act (FLSA). Since 1940, the FLSA regulations governing overtime compensation have generally required that three tests be met in order for white-collar exemptions from overtime to apply: (1) the employee must be paid a predetermined and fixed salary that is not subject to reduction because of variations in the quality or quantity of work performed; (2) the amount of salary paid must meet a minimum specified amount (the “salary threshold”), which is currently $23,660.00 per year; and (3) the employee’s job duties must primarily involve executive, administrative, or professional duties as defined by the regulations. These regulations have not been significantly revised in many years and have languished thus far during the Trump administration. However, proposed revisions to the white-collar overtime exemptions are again expected to be released in January 2019. The Obama administration’s proposed rule would have increased the salary threshold from $23,660.00 per year to $47,476.00 per year. It remains to be seen what the newly proposed salary threshold will be, but the anticipated revisions are expected to increase the salary threshold for these exemptions and thus significantly expand the pool of salaried employees who would be eligible to receive overtime compensation. As with the former proposed rule, the anticipated revisions may also establish a mechanism for automatically raising this minimum salary level on an annual basis, either based on percentiles of earnings for full-time salaried workers or based on changes in inflation. That being the case, the DOL recently announced that it has scheduled five listening sessions in September at which employers may share their concerns about the proposed rule. These listening sessions will focus on what employers would like to see and challenges that employers would face with regard to the salary threshold for the white-collar exemptions. It is worthy of note that the DOL’s Wage and Hour Division does not yet have an administrator in place as the nomination of Cheryl Stanton remains pending. That being the case, it would not be surprising if publication of the proposed rule is delayed beyond the anticipated January 2019 release date. After the proposed rule’s release, public comment on the proposal would then be invited, and a final rule would likely be in place during 2020. 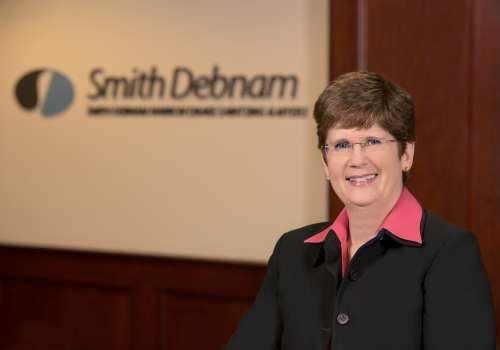 If you have questions regarding this regulatory process or other legal issues, please feel free to contact Connie Carrigan at ccarrigan@smithdebnamlaw.com.